The first, of course, is the target audience. Who is going to read the content, what should the content lead them to do, how to make them remember the organization, and last but not least, keep them on the website and lead them to more content. The second, machines, is an oversimplification for search engines and social media platforms. 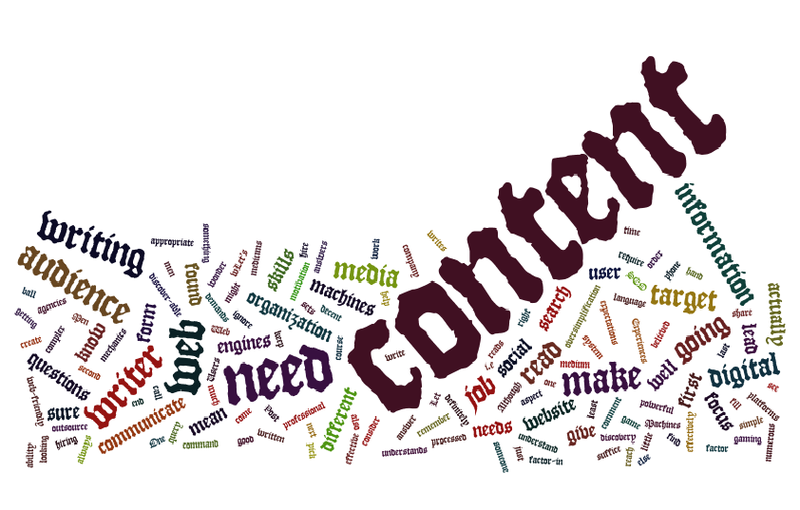 The most effective and powerful content can’t do much for a company if it is not discover-able. This is why web content needs to factor-in the mechanics of the digital discovery mediums, i.e. search engines and social media. This doesn't mean gaming the system (as believed by numerous SEO agencies), but to make the content web-friendly, so that it is actually found and read. One might wonder which aspect should one focus on. Men or machines? I would definitely say write for your target audience. Your web content should answer their questions, give them all the information they need to pick up the phone and give you a call, or fill in that query form. Users always come first. But that doesn't mean we can ignore the digital media and how content is processed before it is found by your end user, and how the user is going to actually read it. So the next time you need some web content for your organization, make sure you are hiring someone who writes well, but also understands the digital medium and its demands. Have questions? Experiences to share? Post a comment, and we'll help you find answers.